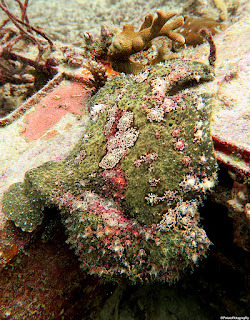 The always frowning frogfish is one of the many visitors to the aptly named “biodiversity reef” at TRACC, an artificial reef created through the amalgamation of old plastic crates. With its rich landscape of corners, shadows, and holes for the refuge seekers of the ocean depths, the biodiversity reef produces a tiny city bustling with life. 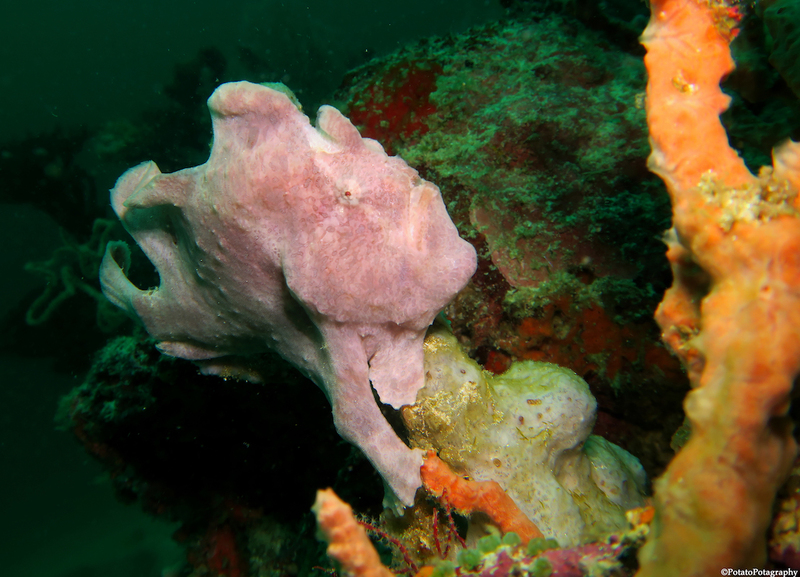 To the untrained eye the frogfish appears as a rather large squareish blob of algae crusting a crevice of the crates. Yet, suddenly in a moment of magic-eye realization, the frogfish’s perpetual frown and beady eyes appear. This pouting frogfish perches on the inside corner of the reef, so convinced of his camouflage that not even the accidental tap of a fin on his tail makes him move away. His gaping mouth continuously takes in water and filters it out the gill openings located slightly in front of his tail; modified pectoral fins grasp the corners of the biodiversity reef to keep him stable and anchored. A member of the anglerfish family, he waits and hides, his lure hanging deliciously just outside his mouth. His jaw and stomach bones are so flexible that he can consume something twice his size. Surely sometime an unsuspecting fish will be tricked by his false promise of food to become the frogfish’s next meal? 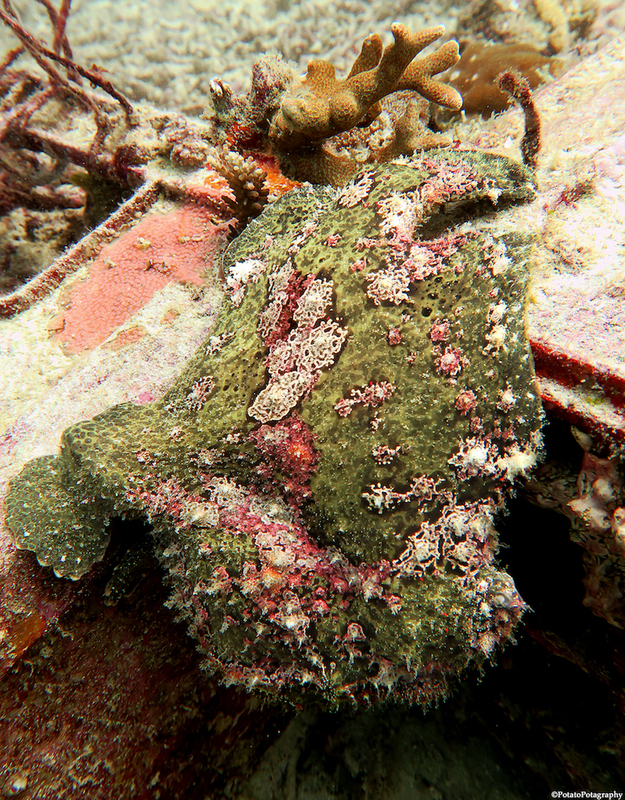 Next day, next dive and our frowning friend of a frogfish is finished with his fishing. No longer does he inhabit his inverted corner. Sometime in the light or the dark he has used his modified pectoral fins to walk, one fin in front of the other, or gallop, pectoral fins striding in unison, across the ocean floor. Grateful for his visit and grateful to the reef, we look forward to when he might return.